Knowing how to install a TV antenna can make all the difference to the type and quality of channels you can watch on your television at home. While most manufacturers offer a detailed set of instructions for you to follow, others can be more complicated. Before you install your antenna, you need to consider where the best placement for it is. The best way to establish the perfect location for your antenna is to have a look at where your broadcasting towers are. Today, there are various websites that can help you get this information. All you have to do is input your location on their system and they’ll send you the placement of your towers. Alternatively, you can ask your neighbors. If your neighbors already have an antenna in or out of their home, why not ask them how they found out. They may also be able to tell you where the towers are themselves, thus saving you a lot of hassle in the first stages of installation. Aside from finding out where your broadcasting towers are, you must consider the placement of the antenna itself. Of course, the ideal location will be on your roof, in your garage, in your attic, or next to a room in the upstairs of your home. The higher you can get your antenna the best signal you will receive. If you do not have a second story in your home, then try out different parts of your roof or garage to see where you get the best reception. You should always point your antenna towards your nearest broadcasting tower, that’s why it is so important that you find out their placement before learning how to install a TV antenna. 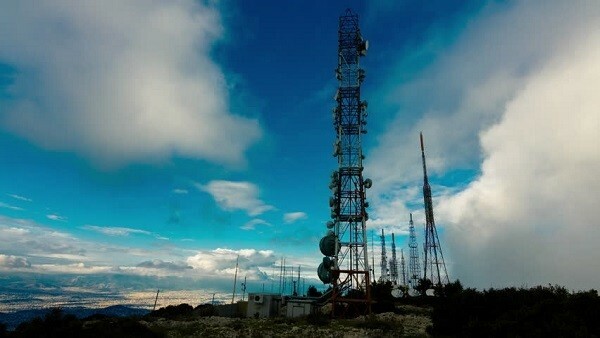 Once you know where the broadcasting towers are, point your antenna towards them and make small directional adjustments based on the amount of reception you get on your television. 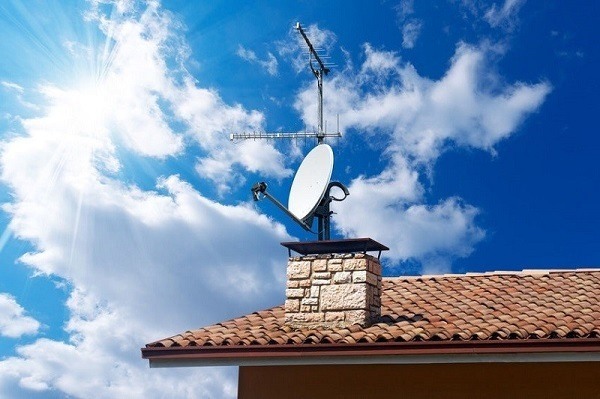 The key is to installing a TV antenna is finding an angle that provides the most channels as well as the strongest signal for the channels you’re most interested in watching. Obstructions can make a huge difference to the amount of reception you get on your television. If you are inside, the thickness of your walls and floors can have an impact on your television signal. This is one of the main reasons we recommend you opt for an outdoor antenna. That being said, you can install your antenna near a window as well. When installing an antenna outside, you must consider other buildings and trees. If your house is next to a big shopping mall, for example, the reception may not be as good as if you live in the countryside with little to no other buildings. Before you can install your antenna, you need to get the mount ready. If you are choosing to install your TV antenna on your roof, then you will need to secure the brackets to the rooftop. Your antenna should come with all the necessary material to assemble and install your mount, including the screws to secure the bracket. If you live in an area that is prone to rain then apply silicone caulk to stop the screw from corroding over time. Sometimes, TV antennas come pre-assembled. If you’re in this fortunate position, you can move onto the next stage of your installation. Unfortunately, other models require you to assemble the various parts. To do so, make sure that you follow the instructions manual down to a T. Do not cut corners when assembling your antenna as aside from not getting the signal you want, you may find that you have to start your installation process from scratch. Now that your antenna is ready and your mount is fixed in place, position the pole on the antenna sleeve without securing it straight away. Make sure that you direct your antenna towards your broadcasting towers. Once everything is in place, connect all the wires. Then, it’s time for you to turn on your television in order to find out if you’re able to see your favorite channels. If you’re not or the signal isn’t great, you can adjust your antenna slightly. This stage of the installation process is best done with a family member or friend. One person can flick through channels while the other adjusts the antenna according to their instructions. If you’re installing your antenna on your own, you can also use a meter to gauge the signal. Once you’re happy with the results, remember to secure your antenna with all the screws and bolts. You should also secure any wires. Make sure that you are compliant with all the electric codes and guidelines in your area. Also, connect the coaxial cable to the splitter so that you can watch your favorite channels on various televisions in your home. For your safety, use a grounding block and connect it to the building ground and always contact a professional if you do not feel safe installing your antenna yourself. Choosing the best TV antenna can be very challenging, especially as there are so many models to choose from. If you are struggling to find the best one for your home, visit our reviews page today. On it, you’ll find out more about what customers think about some of the best antennas on the market at the moment.